As always, the opinions expressed here and other posts on the blog are my own and do not reflect those of my employer, family, friends, plants that may become sentient, or birds. It’s strange how the human mind can romanticize horrific events. George Washington was the first president, and a supposedly honorable man, but he was also a man of his time. He owned slaves–as did most of the founding fathers, but history books choose to ignore this. 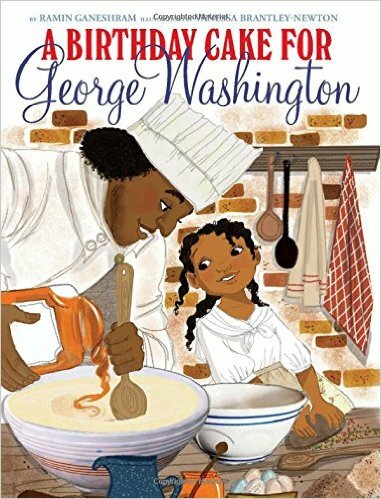 We can gather as much from seeing the cover of A Birthday Cake for George Washington by Ramin Ganeshram, illustrated by Vanessa Brantley-Newton, where his slaves are making a cake for him. 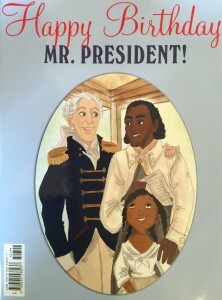 And, because no one writing or editing or illustrating the book thought about how slavery sucked, decided to make Hercules and his daughter smiling on the cover. Because slavery is fun, guys! 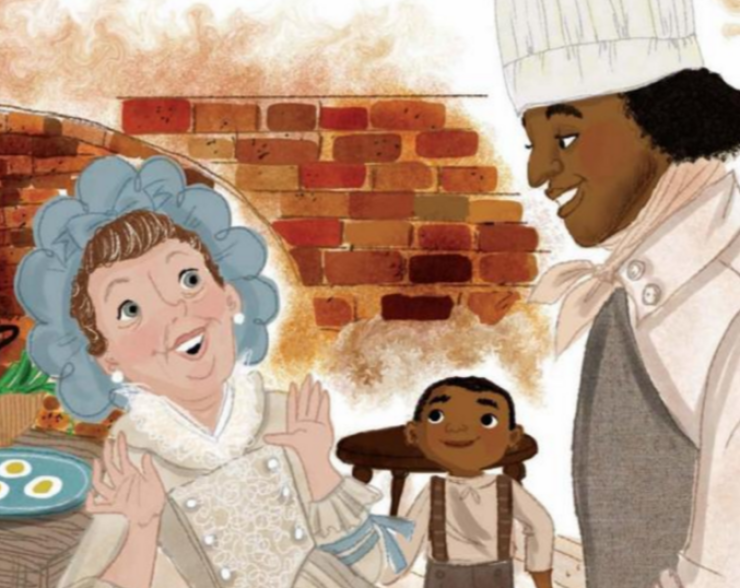 After a public outcry of the book’s depictions of slavery, Scholastic decided to pull the book from shelves. A statement from scholastic tries to say that everyone involved had the best intentions: “We do not believe this title meets the standards of appropriate presentation of information to younger children, despite the positive intentions and beliefs of the author, editor, and illustrator.” As I’ve heard numerous times on various social media platforms: Intent does not change impact. The author wrote an article for Children’s Book Council about the thoughts that went into writing such a book. Her article showcased her research that Hercules had status in the house, yet in this article from the Seattle Review of Books, they point out that Hercules did attempt to escape. So no matter how good the intentions were, and truly I believe they had good intentions, it never even occurred to anyone that something like this would be received negatively. I don’t think any publisher intentionally prints something they don’t believe in (or for that matter, pulls a book because of the outcry). But where can we place the blame? As far as I’m concerned it’s a collective blame on Scholastic. The VP and executive publisher saw the book as a “teachable moment,” as she wrote in Scholastic’s blog, and again, the intentions were good. But in this series of Tweets by user @LeslieMac, many of the explanations don’t make sense. But this isn’t the first time this has happened! A Fine Dessert (again with the desserts and slaves) also depicts smiling slaves. They were forced to work for free and could not escape!!! I am not sure how your intentions for depicting a good recipe trump the suffering of thousands of people over the course of history, of which the effects are still seen today. I want to be an editor, but simply being aware of these issues and wanting to acquire and publish more inclusive books is not enough. It would be ideal to have colleagues who are as diverse as the books that should be published, that represent the world in reality and not some warped view in which white people can make all the decisions. As much as I want to see diverse books in the marketplace, we need diverse editors, illustrators, writers, and others in publishing to make a difference. I feel that this would make a difference in the overall quality of the books and introspection needed to change the impact of how “controversial” books are received.